In the 1960s, the legend goes, NASA spent millions developing a pen that could write in zero gravity. The Russians used a pencil. I couldn’t help but think of this story when I came across the following pair of headlines. In fairness to NASA, it’s worth pointing out that the legend is totally false. 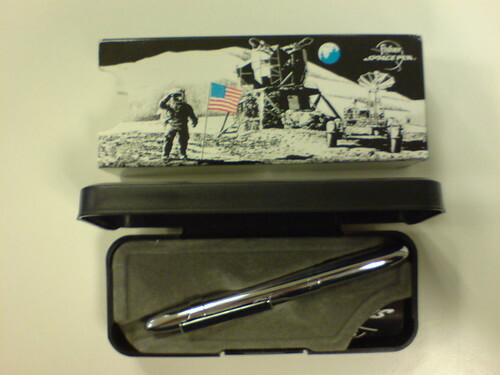 Fischer developed the Space Pen on spec and sold it to both the Americans and the Russians. A pen that can write is space in much better than a pencil – pens don’t have lead tips to break and leave dangerous particles floating around a spaceship and they aren’t flammable. After the Apollo 1 disaster, non-flammable objects seem pretty useful. Move along, no pithy lessons about technology here.